AT 5:00PM EST – BID NOW!! IN ORDER TO BID ON THIS PROPERTY YOU MUST FILL OUT THE NECESSARY FORMS ATTACHED IN THE PROPERTY BROCHURE. IT IS UNDERSTOOD THAT NO ONE WILL BE PERMITTED TO BID ON THIS PROPERTY UNLESS THEY HAVE FILLED OUT THE NECESSARY FORMS AND SUBMIT IT TO THE BROKER PRIOR TO FINAL DUE DATE OF SEPTEMBER 18TH 2013 BY 5:00PM EST. 3. SUBMIT FORMS ON OR BEFORE SEPTEMBER 18TH 2013 BY 5:00PM EST. 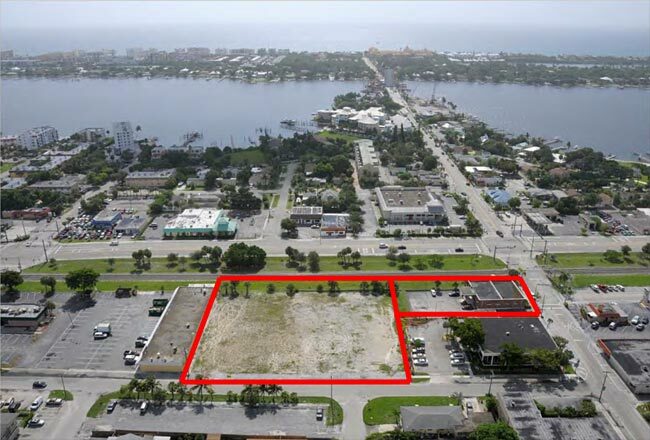 DON’T MISS THIS OPPORTUNITY – UNIQUE RE-DEVELOPMENT / INVESTMENT OPPORTUNITY…BID NOW! THE SELLER OF THIS RARE BUILDABLE LOT AND COMMERCIAL BUILDING IS NOW CONSIDERING ANY AND ALL OFFERS!! YOU HAVE OPPORTUNITY TO OFFER ON INDIVIDUAL PARCEL OR BOTH PARCELS AS A PACKAGE. COMBINE PARCELS EQUAL 1.45 ACRES. LOCATED IN DOWNTOWN LANTANA, JUST OFF TRENDY OCEAN AVENUE. OFFERING FEATURES A TOTAL COMBINED SQUARE FOOTAGE OF 51,953!! -Head East on Lantana Rd. to N. Federal Hwy US1. -Property is Located on Right (North) Side.